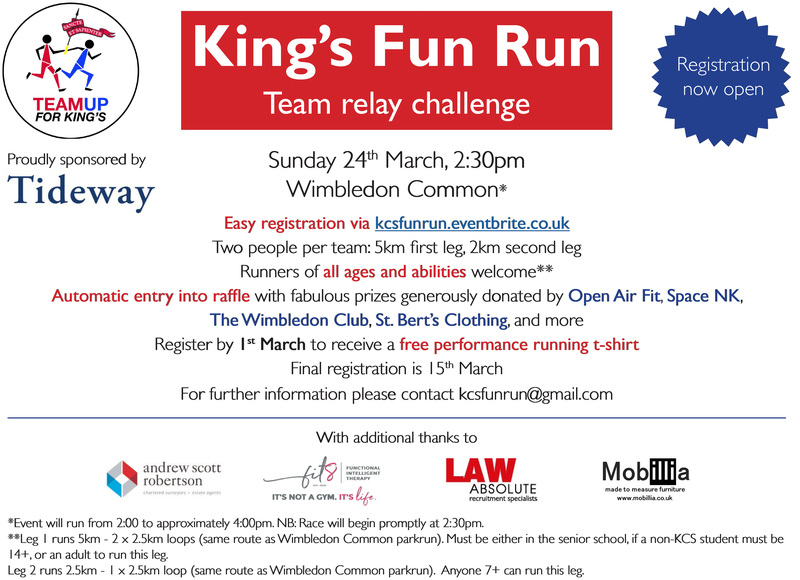 The Friends of King’s invite all OKs to take part in the Fun Run. Two people per team: 5km first leg, 2km second leg. Atomatic entry into raffle with fabulous prizes generously donated by Open Air Fit, Space NK,The Wimbledon Club, St. Bert’s Clothing, and more.